Stress can be brought on by a number of things including, but not limited to, job security, driving in rush hour traffic, being overworked, and arguing with your spouse. At the time, you may not feel this physical stress, but it can take a toll on your sleep rhythms, diet, and overall lifestyle. Stress can increase your blood pressure, shut down your digestive and immune systems, and increasing your heart rate. Seeing a chiropractor today can allow you to get some tips on how to deal with the daily stresses that, over time, take a toll on your body. So call us today. How long do you have to obtain medical care when you suffer injuries in a traffic accident in Florida? Should I see an attorney before I see my Chiropractor? It is important to get examined by the doctor first. The findings from your examination need to be documented immediately after your accident to determine the appropriate health care necessary for optimum recovery. After your Doctor's examination it would then be appropriate to consult an attorney for legal counsel. What if my car sustained only minor damage? Documented studies done by Charles Carroll, M.D., Paul McAtee, M.D. and Lee Riley, M.D. revealed that: "The amount of damage to the automobile bears little relation to the force applied to the cervical spine (neck) of the occupants." In other words, the damage to the passengers is not necessarily directly related to the damage to the vehicle. Thus all auto accident injuries need to be immediately evaluated by a qualified chiropractor like those found at Delray Beach Auto Injury Chiropractic . What if I need orthopedics, neurologists, and MRI imaging facilities? We will immediately refer you for a MRI or any imaging studies necessary to evaluate the extent of your injuries. We also work exclusively with other local qualified medical doctor profesionals such as orthopedics & neurologists to provide any additional necessary care. If I need Chiropractic care, do I have to pay for it myself? In most cases, your auto accident insurance will pay 100% for the cost of your chiropractic care. Our Office can assist you in obtaining this information. Using your medical coverage should not raise your premiums. The insurance company has been calling me and wants to settle, what should I do? Do not sign or settle anything until you have consulted with an auto accident injury chiropractor. If you settle before your injury is fully resolved, you will risk having to pay out of pocket for your care. I've been to the hospital and my Medical Doctor, do I really need to see a Chiropractor? You need a doctor who is experienced in providing the necessary care and diagnosis of auto accident injuries. Usually hospitals will check vital signs, make sure there are no life-threatening conditions and release the patient with pain relief medication. They normally do not provide healthcare for the underlying injuries that can often lead to future pain. Thus after your hospital visit you need to make an immediate appointment with a chiropractor like Dr. Eric Bjerke, DC. The care is comfortable and quite soothing. Our patients look forward to the care they receive during their office visits. Why am I getting headaches after an auto accident? During the impact of an accident your neck is forcibly "whipped" back and forth and side to side past its normal range of motion. As a result whiplash injuries can affect the muscles and tissues in your back and neck. Stiffness, back pain and/or neck pain can ensue immediately or take days, weeks or even months to appear. It is crucial to treat whiplash immediately even if you are not yet experiencing neck or back pain. Headaches and migraines are common symptoms that can occur as a result of whiplash injuries or any type of motor vehicle injury. Headaches may appear when specific vertebrae in your neck is restricted and out of position due to the impact of an accident. Sprained neck muscles can cause pain to radiate to your head. 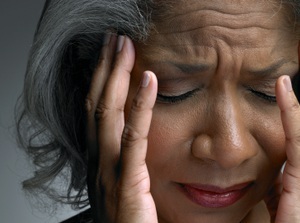 Any injuries or traumas to your head can cause headaches and migraines. If you are experiencing headaches after your car accident, then you should get treated as soon as possible so that your headache pain does not become permanent. At Delray Beach Auto Injury Chiropractic we treat whiplash injuries to get you being functional and back to normal. Why do I get neck pain following an auto accident? Whiplash injuries occur when there is a sudden forced movement of the head or neck in any direction which can cause a rebound in the opposite direction. Surrounding and supporting tissues of the neck and head will be affected. Consequently, the surrounding muscles begin to tighten, contract and fatigue quicker resulting in pain and stiffness. Car accidents are the most common cause of whiplash. It is vital to get a proper evaluation to determine how to get you feeling better without the use of medication, which is designed to mask the pain, not treat the cause of the pain. At Delray Beach Auto Injury Chiropractic our goal is to help you recover from automobile injuries and focus on correction of one's ailments. What if my symptoms did not begin immediately? Often times, pain and/or symptoms of injury are delayed following a car crash. The soft tissues (muscles, tendons, discs, ligaments, etc.) are commonly stretched and/or sustain microtears in an automobile accident. This leads to an inflammatory reaction that takes time to build up with the soft tissue. Often patients mask their initial symptoms with pain medications and are unaware of the level of their pain and stiffness until these medications wear off. Could a car accident have an impact on experiencing sciatica? style="color:#fff;">Yes, after we experience trauma from sudden force, the spinal column along with soft tissues such as tendons, ligaments, fascia and muscles can shift. This unexpected force can cause a vertebrae to bulge, resulting in sciatic nerve compression. If you experienced an auto accident, we cannot stress enough how important it is to see a chiropractor immediately. Even if you are not experiencing pain we can help restore spinal alignment to avoid any future flare ups. If you have a spine, call today. You should get your spine checked whether you have pain or not! Do you see a dentist every 6 months? Why? To check for cavities you can't feel! So why wait until your spine hurts to see if your spine is out of place? GET CHECKED TODAY! Call (561) 250-8822 now to schedule a free consultation. Auto Accident Injury Treatment In Delray Beach. 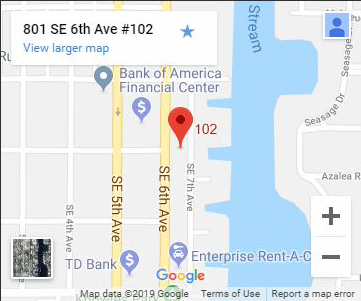 © 2019 Delray Beach Auto Injury Chiropractic . Personal Injury Website by Demand Boost, Inc.